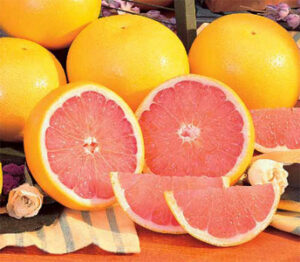 Fresh from the world-famous Indian River, we give you our sublime kissed by the sun Ruby Red Grapefruit. Our little area of Florida is the top producer of Grapefruit in the world and we humbly submit that this is the BEST GRAPEFRUIT EVER! Discover the amazing juicy-sweet flavor that brings joy to people far and wide.